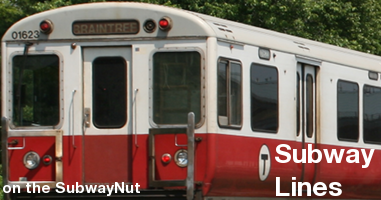 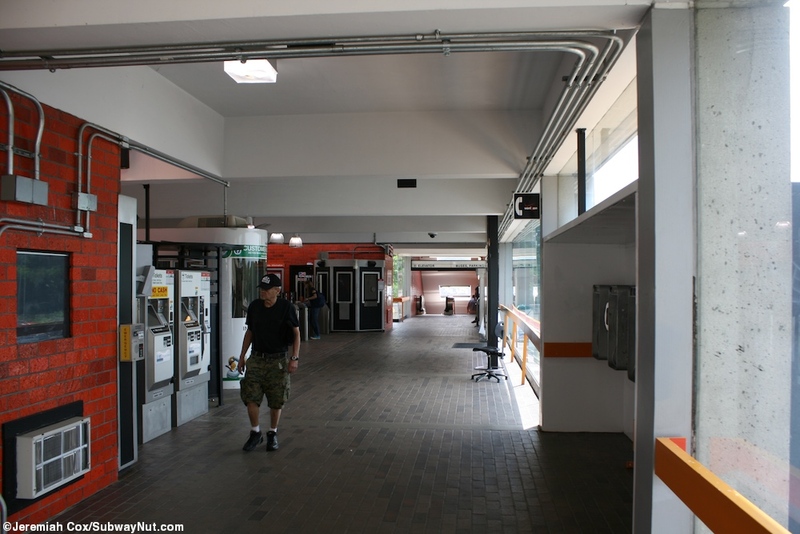 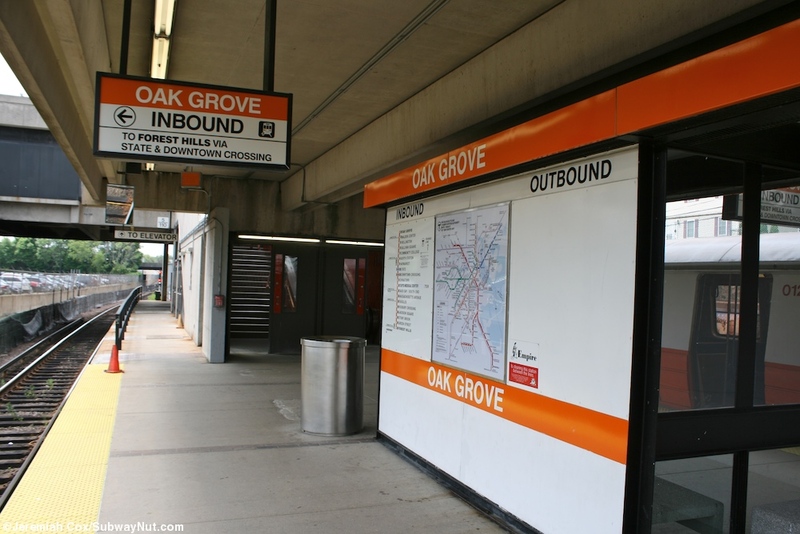 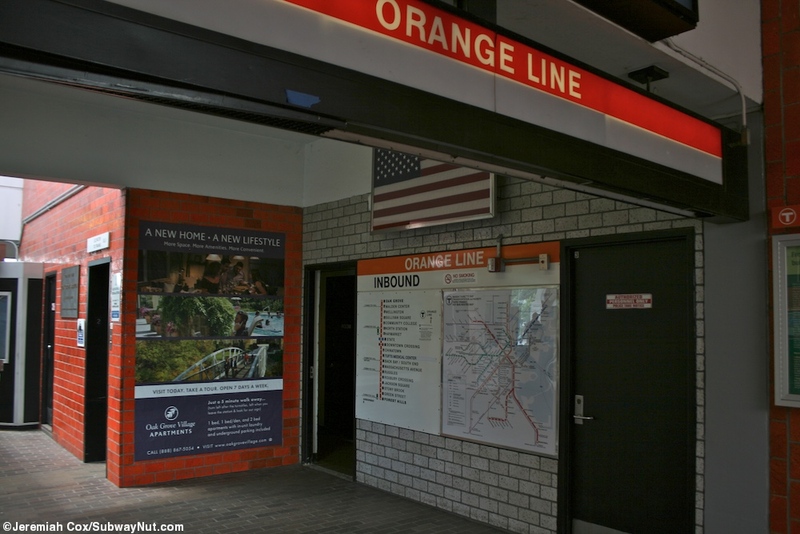 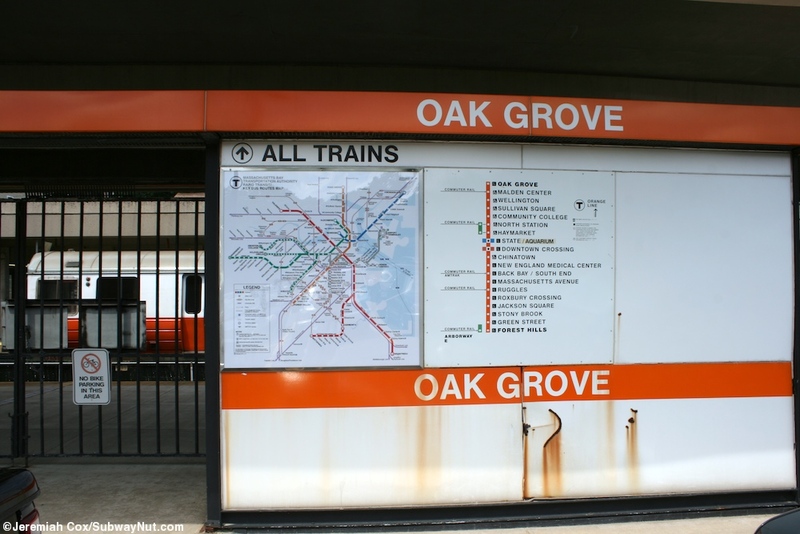 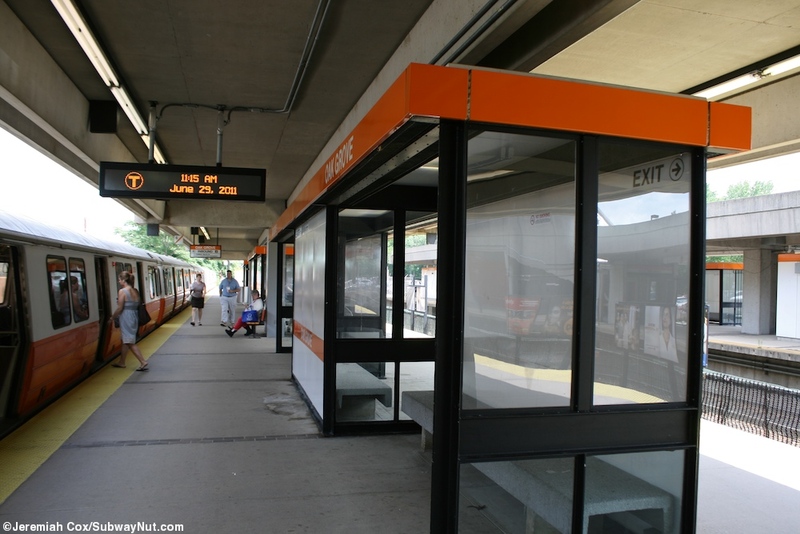 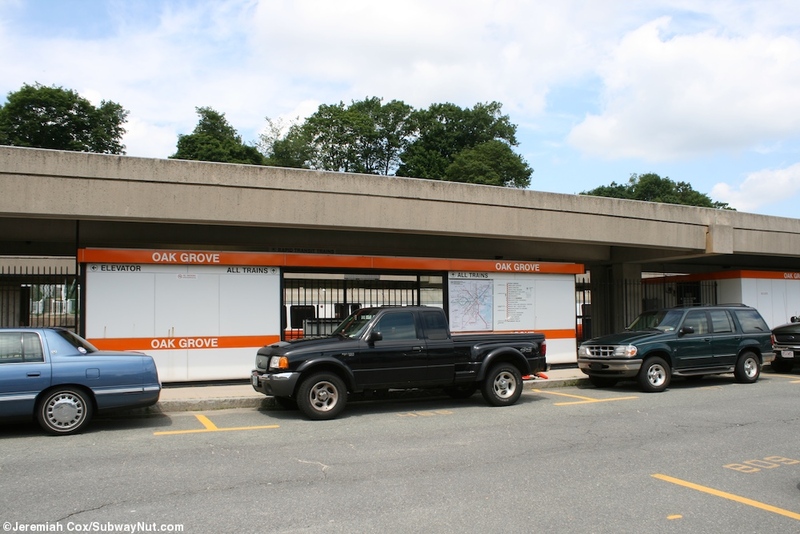 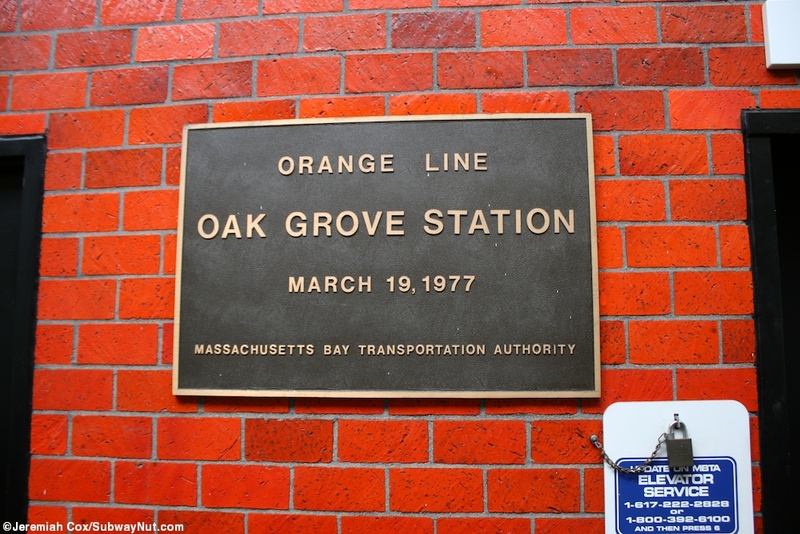 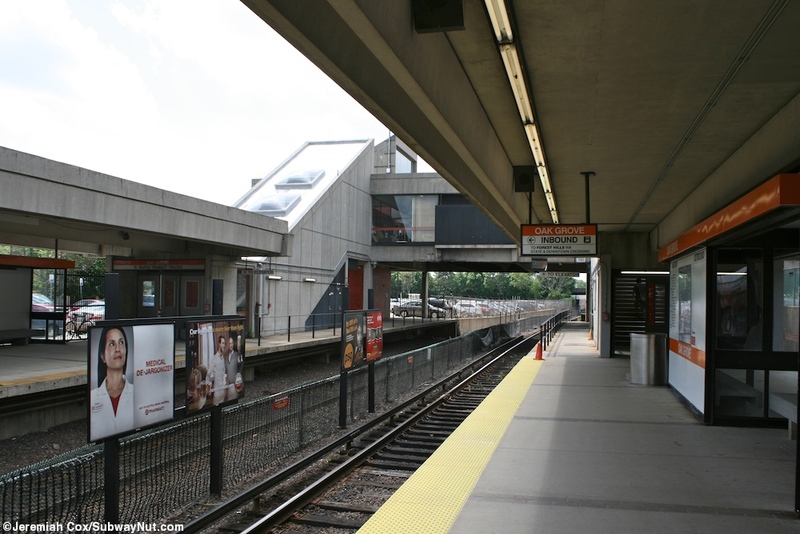 Oak Grove is the northern terminal of the Orange Line with three tracks. 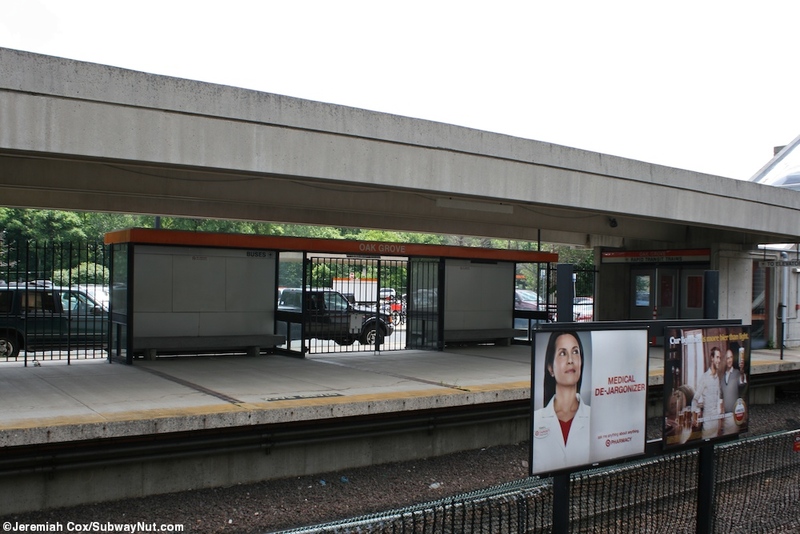 There is an island platform for two of them that is generally the only one used (with trains reversing before entering the station) and a third track with a side platform that can only be used by terminating trains, although its gates seem to stay locked most of the time. 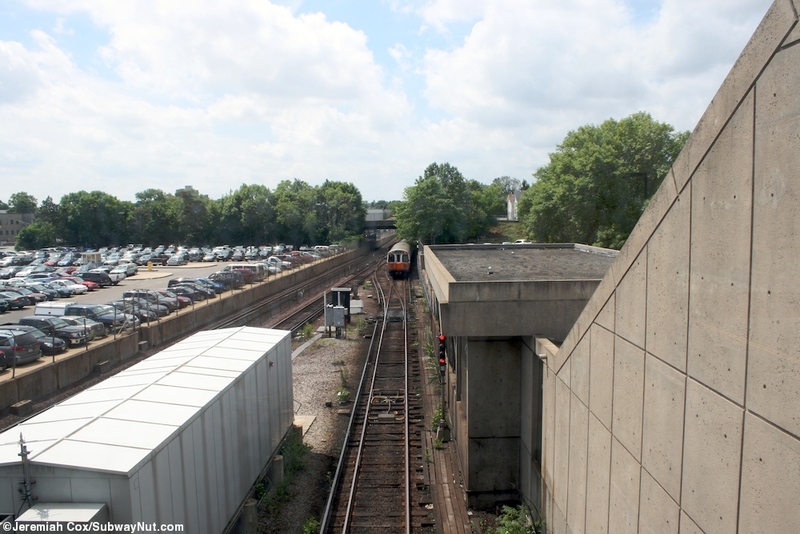 Trains can also reverse north of the station after terminating. 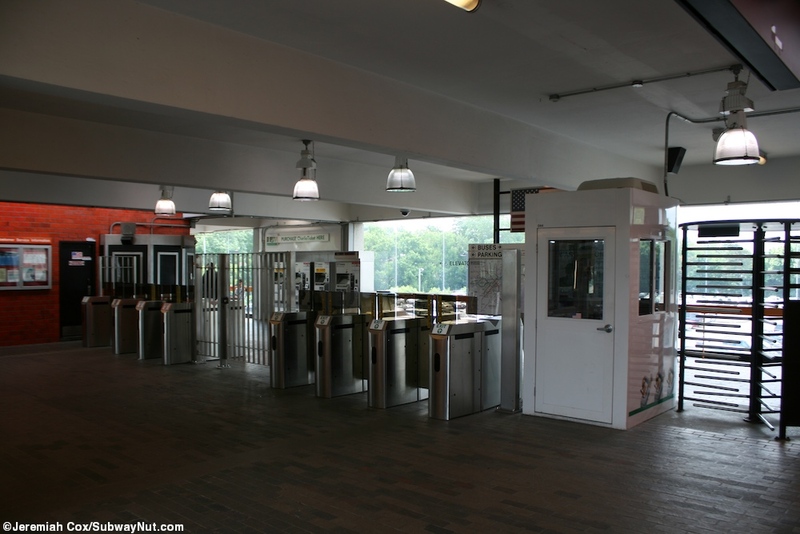 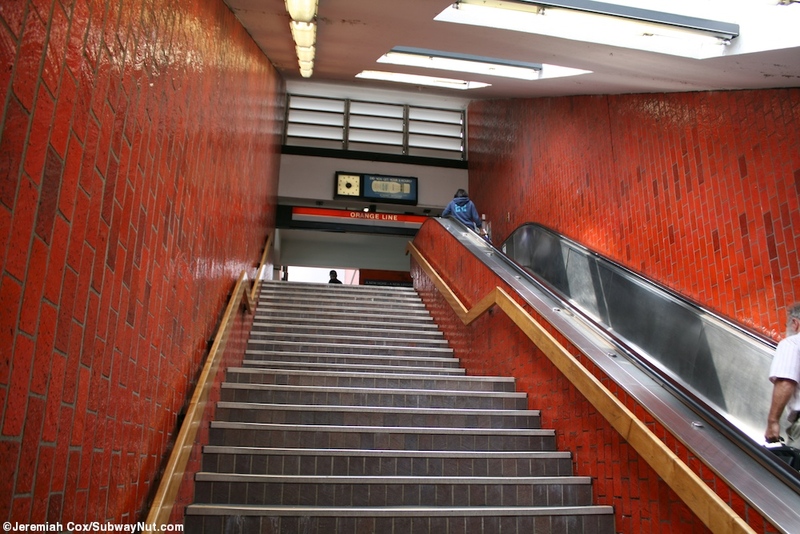 The main island platform has a single exit with a staircase/up escalator followed by an elevator at its extreme northern end to a small mezzanine area where the faregates are immediate. 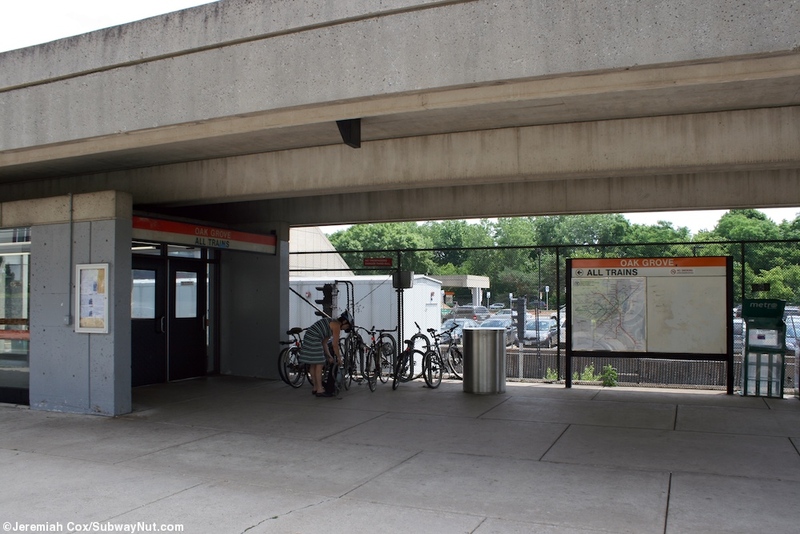 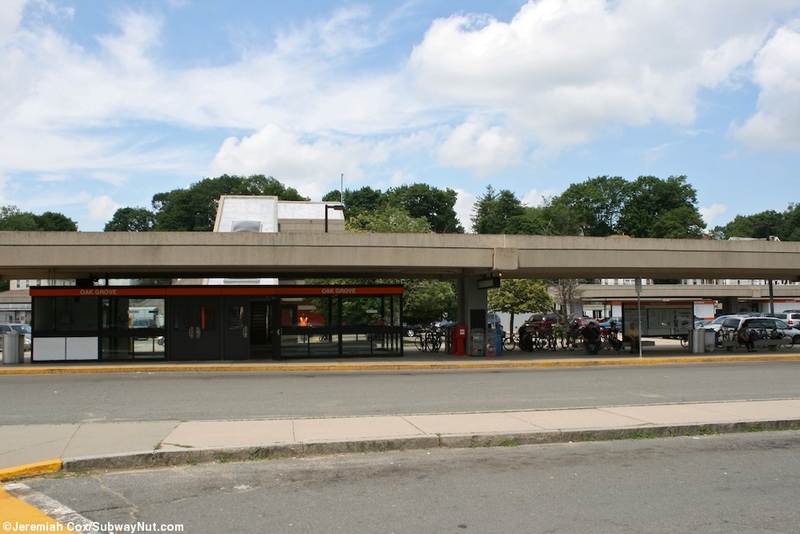 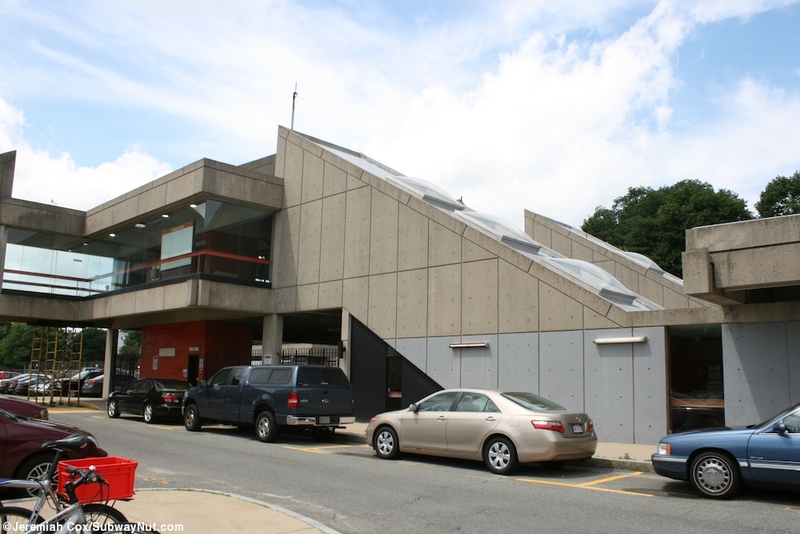 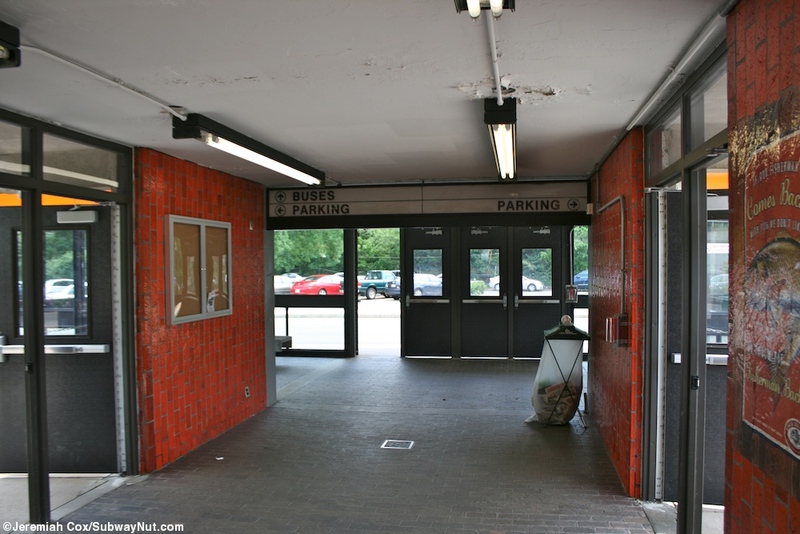 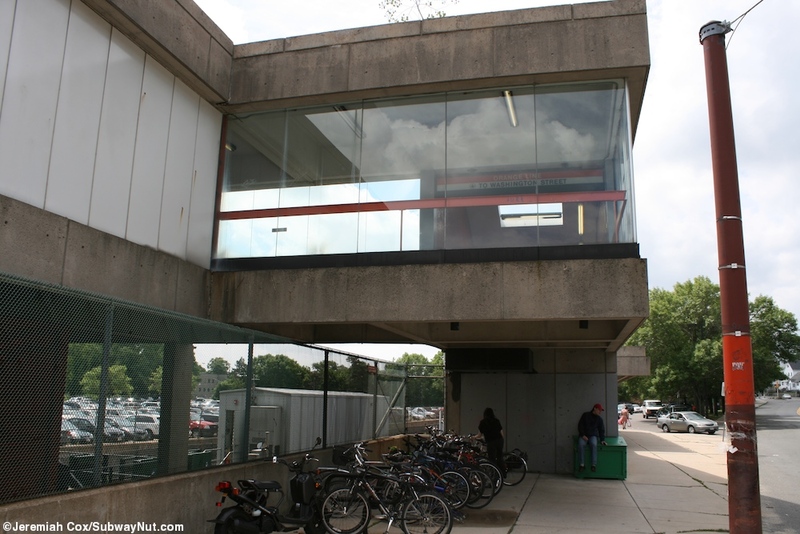 This bridge connects to a staircase down to Washington Street and a suburban community with a staircase/up escalator and elevator down to the stations 788 parking lot and a bus loop for some connections.